It’s a great time right now to check the filter in your heating and air conditioning system.Your filtration system has been hard at work collecting all the impurities in your air and you don’t want it to get clogged! Here are a few pointers for the different types of filtration. If yours isn’t here and you have questions, please feel free to call us at (360) 693-1757. 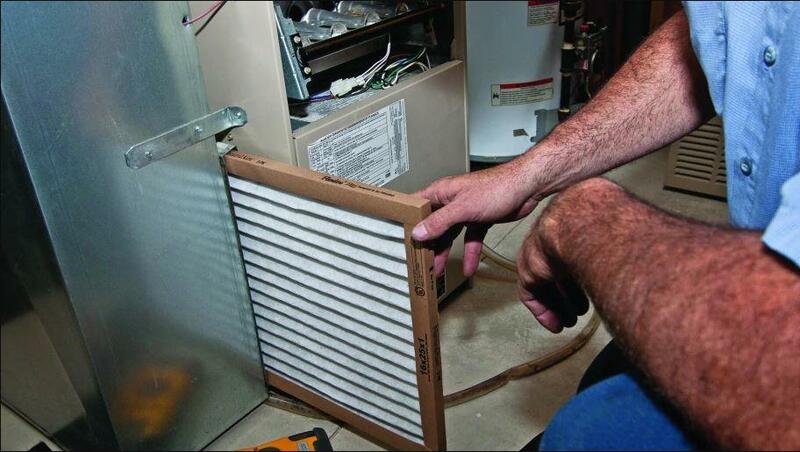 – 1″ replaceable filters should be replaced every 1-3 months. It varies from home to home, so check yours often to get a feel for how long you can use a 1″ filter. These are normally located inside the furnace or in the large return air grill inside your home. – 4″ replaceable filters will generally last between 3-9 months. Again, every home is different depending on the area you are in, how tight the construction of the house is, etc. So check it often and you will get an idea as to how long you can use yours. These filters are generally located near the furnace within its own labeled door. – Electronic air cleaners (such as the AccuClean or Honeywell F-300) have specific instructions as to how they are to be cleaned. This is very important, so refer to your manual before you dive in. If you don’t have a manual, give us a call and we will help you get one. However, you should plan to check and clean the pre-filters every 1-2 months to maintain good airflow between complete cleanings. These are also normally located near the furnace within its own labeled door.